1 June 2017: Following a successful private campaign which resulted in 29 sales, Chartered Land has announced that its collection of exceptional apartments at Lansdowne Place, Ballsbridge will go on official sale from Thursday 1st June. Lansdowne Place sets a new international standard for apartment living in Ireland and provides a unique opportunity to own a property of unrivalled quality, in a premier location. The scheme offers luxurious modern living inspired by London based interior architects, Goddard Littlefair, on their first residential project in Ireland. 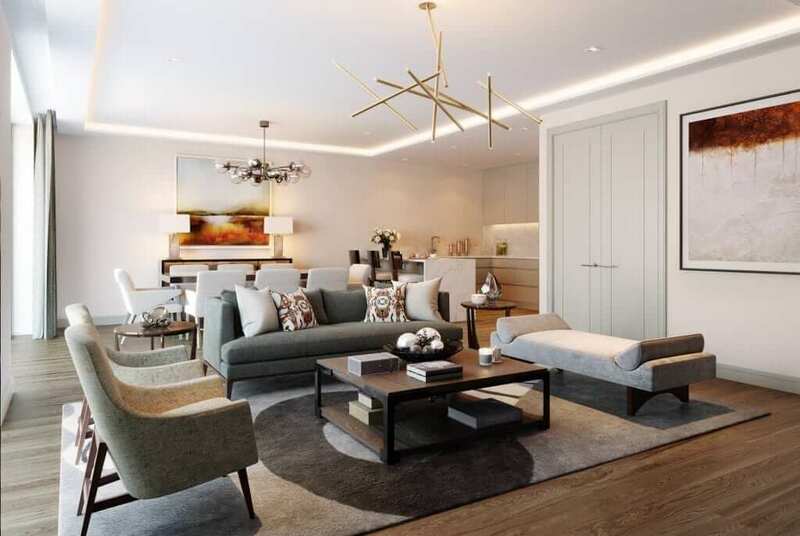 Meticulous attention has been paid to the detailed design of the 215 units contained in seven pavilion-style buildings, in the heart of Ballsbridge ranging from spacious one bed units to four bedroom penthouses. The bright and spacious apartments are characterised by their open plan living areas. Unique features include spacious sunrooms that combine the beauty of outdoor living with indoor comforts, positioned to optimise light throughout. Every detail has been carefully considered, from the custom designed Irish craft integrated kitchens, to the entrance halls, coffered ceiling lighting in the living rooms and bathroom suites finished in limestone and marble. 28 units are on offer in the current sales phase comprising 2 one bedroom apartments; 24 two bedroom apartments and 2 three bedroom apartments. Sizes are generous with spacious one bed apartments at 782 sq.ft., two bed apartments from 954 sq. ft. to 1,627 sq. ft. and three bed apartments at 1,910 sq. ft. Generous ceiling heights of 2.7 m (8.85 ft.), large floor to ceiling windows, sunrooms and balconies are standard. Mood lighting, natural stone, selected timbers and traditionally painted joinery are just some examples of the unique craftsmanship skills employed at Lansdowne Place. 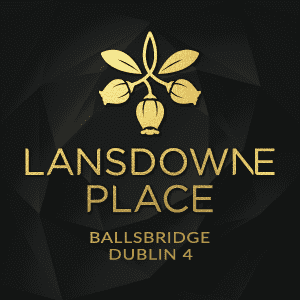 In a lifestyle initiative, new to the Dublin market, all residents in Lansdowne Place will become members of The Lansdowne Residents Club, a purpose-built leisure facility and 24-hour concierge service. Here residents, and their guests, can enjoy a lounge, library, meeting room, cinema room and hospitality spaces. It will also house a gym, sauna, steam room and treatment rooms. Prices for the apartments at Lansdowne Place vary depending on the size of the individual unit. The standard one bed apartments start at €825,000; two bed apartments start at €900,000 and three-bed apartments start at €2,150,000. Lansdowne Place is situated on the corner of Lansdowne Road and Shelbourne Road, the site of the former Trinity College Botanic Gardens, which were located there for over one hundred and fifty years. 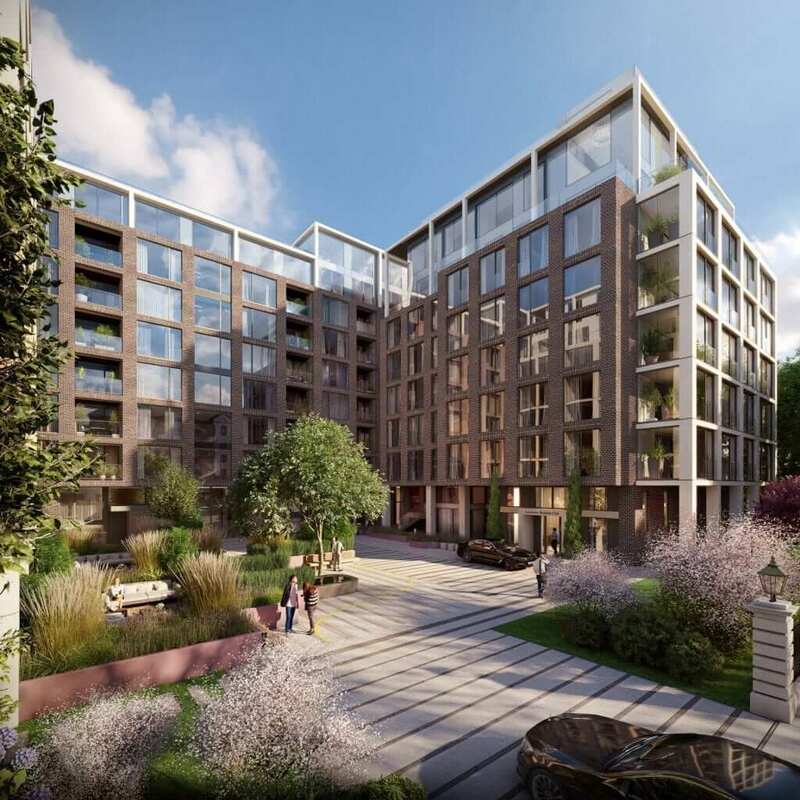 Positioned behind the original Richard Turner railings iconic to Lansdowne Road, the development, designed by Irish architects O’Mahony Pike, will overlook beautifully landscaped gardens. These have been designed by Bernard Seymour, Landscape Architects and will retain many original specimen trees recalling the botanic history of the site. The impressive Lansdowne Place Marketing Suite was built to showcase the luxury apartments and extends to an area of approximately 6,500 sq. ft. over three levels and up to 14 metres in height. There is an entrance lobby and marketing reception area at ground level, a 2-bedroom show apartment at first floor level measuring 1,355 sq. ft. (1,529 sq.ft. including sunroom) and a 3 bedroom show apartment at second floor level extending to 1,805 sq. ft. (2,065 sq.ft. including terraces). The building also comprises associated terraces, balconies, and a viewing deck at roof level. On completion, there will be a total of 215 apartments in Lansdowne Place. The first apartment buildings will be completed in mid-2018 and it is expected that all construction in Lansdowne Place will be finished by the end of 2019. Following this latest phase of sales, it is expected that the next phase will be in Autumn 2017. Viewings at Lansdowne Place show apartments are by appointment through the joint agents, Savills (Tel 01 6181300) and Sherry FitzGerald (Tel 01 6671888). Lansdowne Place is the next chapter of Chartered Land’s vision. The aim is to create a truly original development that will represent for residential what Dundrum Town Centre did for retail – transformational.